Thousands of Ethiopian Hebrews stigmatized as “Felasha Mora» have been languishing in camps in Addis Ababa with hope of making Aleya to the Holy land. Like any other Hebrews all around the world, the Ethiopian Hebrews would have been well supported even when they live in Ethiopia with different development projects rather than taken to Israel and became a third class citizen. Very few have integrated but ambivalently. In recent days many have left Israel for North America never finding «The Promised Land in exile.” The best job any Ethiopian Hebrew could find in Israel due to the generation gap is to be a member of Stahal, Israeli Defense Forces. 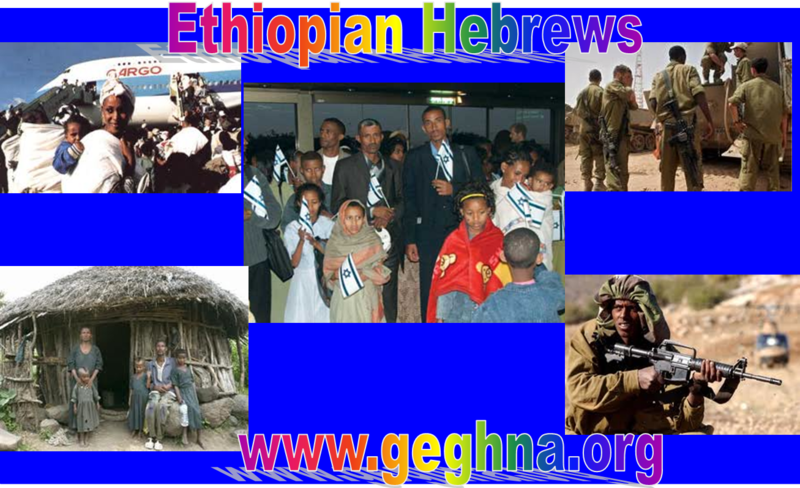 The Jewish State has been air lifting thousands of Ethiopian Hebrews to Israel the last three decades which increased the amount Ethiopians in the Holy Land over 100’000 . The Ethiopian carrier with special order from Zenawie has refused to fly out the Hebrews the official reason given – lack of cabin space & Israel’s refusal to allow an increase in the number of weekly flights from three to five. Moreover, the Ethiopian dictator Melese refused to allow the Israeli planes to fly over. A second plane chartered for Thursday was also cancelled, the head of the Jewish Agency for their Return. He said. “They are all now stranded in Addis Ababa outside the Jewish Agency compound,” he said. Israel began bringing Ethiopia’s Jewish community to Israel in 1984 under the Law of Return. What is not clear is the position of the Israeli Jewish Agency by triply stigmatizing the Ethiopian Hebrews known in Israel with a ticket name “Falash Mura” –? 1. They are rejected and are not considered to be Jewish under the faith’s strict rules and therefore are not eligible under the law. 2. And at the same time successive Israeli governments have authorized bringing them to Israel while leaving those waiting in the Ethiopian capital in the refugee camps to languished in misery for years after telling them to go to Addis and the Agencies went to look some more in Gonder areas. 3. Thirdly create Air carrier conflict with Zenawie regime and delay their family reunion, since most of them have relatives left earlier.